Darren Chow’s Deaflypic Dream is attainable. He has a spot on the Canadian team for the Deaflympics, but he needs our help to get there. So far he’s raised just shy of $3000 of the $8000 he needs to go to Khanty-Mansiysk, Magnitogorsk, Russia. How can you help? Well, check out his Go Fund Me campaign or join us at Collingwood’s The Casbah tomorrow night. 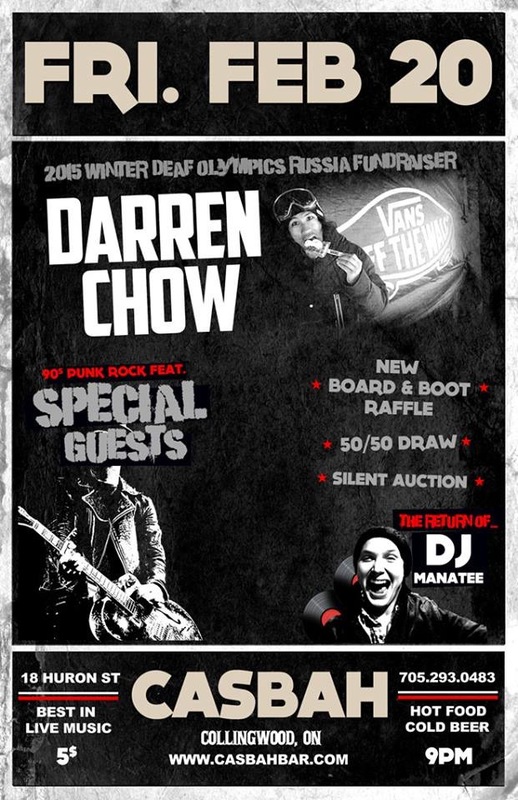 With some live punk rock, a 50/50 draw, a free boot and board giveaway, you can bet it’s gonna be a good time. Let’s get this kid to the Deaflympics! Here’s Darren’s ask for help from his Go Fund Me Campaign. 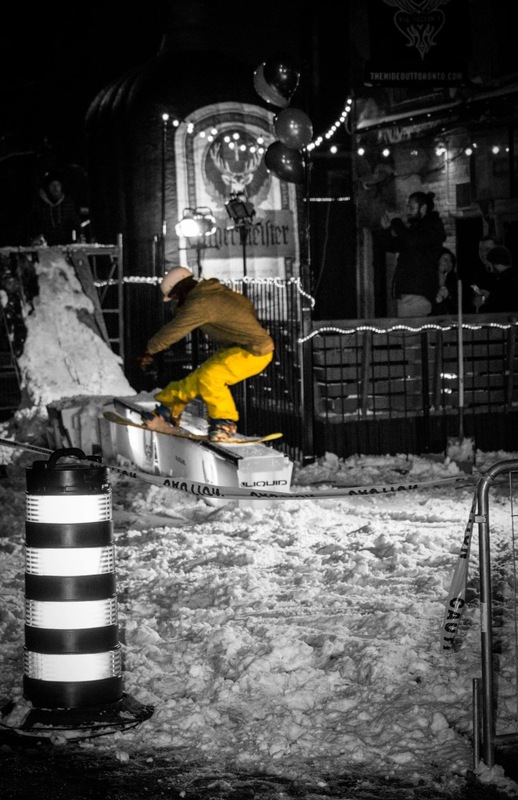 “My name is Darren Chow and I am a member of the Canadian National Deaf Snowboarding Training Team. Through hard work, dedication, and training I am earning the right to represent my country at the largest International Deaf Sporting Event in the World. The Deaflympics, sanctioned by the International Committee of Sports for the Deaf, and recognized by the International Olympic Committee, are the highest level of competition bringing together thousands of Elite Deaf Athletes from over 100 countries worldwide. As a part of my commitment to the National Training Team, I will be required to fundraise 50% of the expenses for the Deaflympics in Russia. While athletes do receive support from the Canadian Deaf Sports Association for the other 50%, there is still a significant financial contribution required. From family, friends and generous supporters in my community, I am hoping to make my dream a reality, allowing me to become a Deaflympian, in hopes of bringing home a medal for Canada. I am requesting that you consider making a financial contribution to support me as an athlete, and I assure you that I will do my best to represent you, your company, myself, our community, and our country, while participating at this event. Please accept this letter as a request for your support in my preparations to represent Canada at the 2015 Deaflympics in Khanty-Mansiysk, Russia. I thank you for your consideration, and I will follow up with you in the coming weeks about your support for myself and our National Deaf Snowboarding Training Team. For more information about me or the Canadian Deaf Sports Association, please visit www.assc-cdsa.com. And for information about the ICSD and the Deaflympics, please visit www.deaflympics.com.